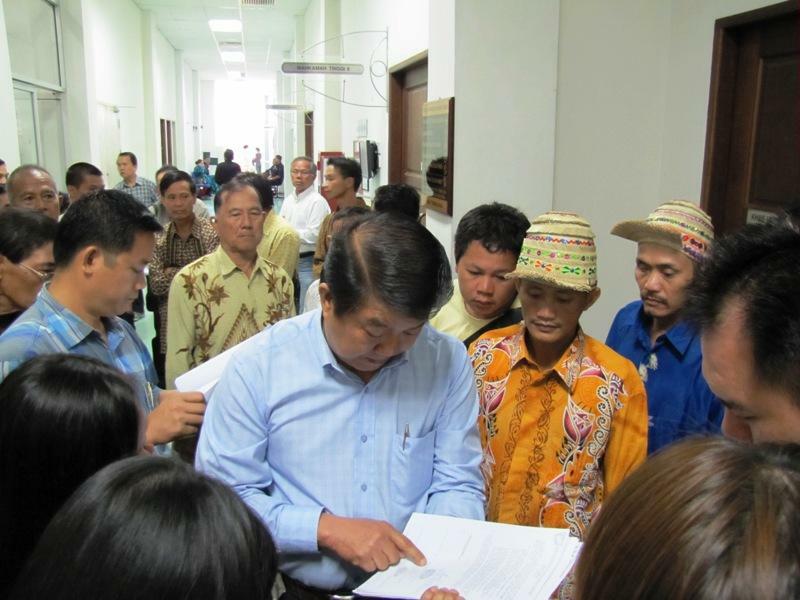 History is made this morning, March 3 in Miri when Ulu Limbang Kelabits, Penans and Lun Bawang NCR landowners file a civil suit jointly against four private companies and the Sarawak Director of Forestry and Sarawak Government to defend their rights. The four companies are logging and tree-plantation companies. For the first time, 3 different ethnic groups have come together and unite in their struggle to defend their rights. 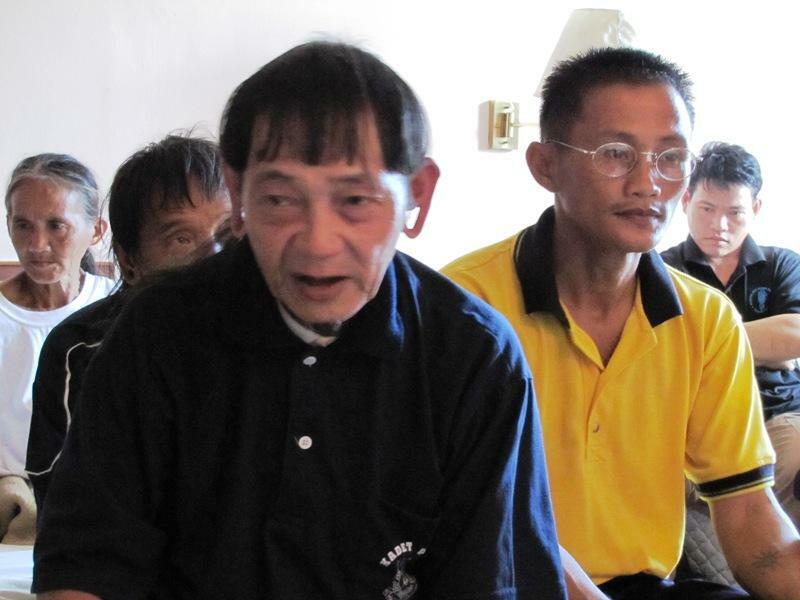 Together, they represent some 14 villages in the Upper Limbang region, where people trace their ancestors back over 200 years ago in their NCR lands. 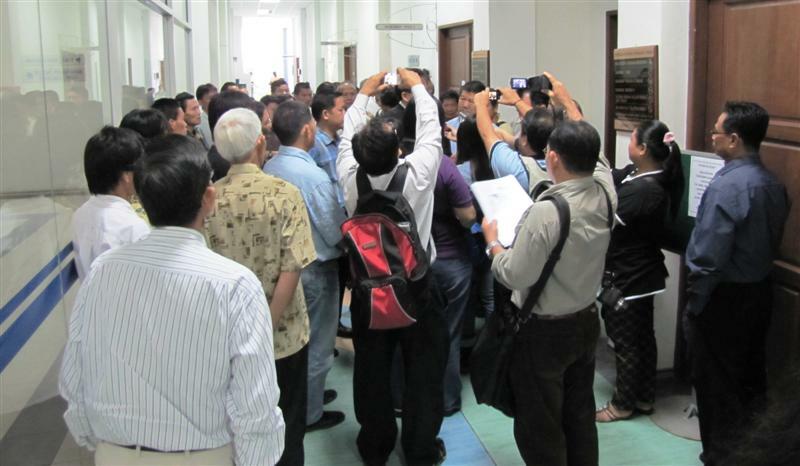 About 50 community people from Ulu Limbang and Baram and other parts of Sarawak turned up at the Miri High Court to accompany their lawyer, Baru Bian in filing their case. All in high spirit and excitement, the people have now advanced in their struggle by taking their struggle from the blockade sites to court room. The people’s struggles to defend their rights have been going on since late 1980s. Countless letters, appeals, petitions, meetings and direct actions have not been able to stop the destruction on the people’s lands and their lives. The people are up against mighty companies, economically and politically. 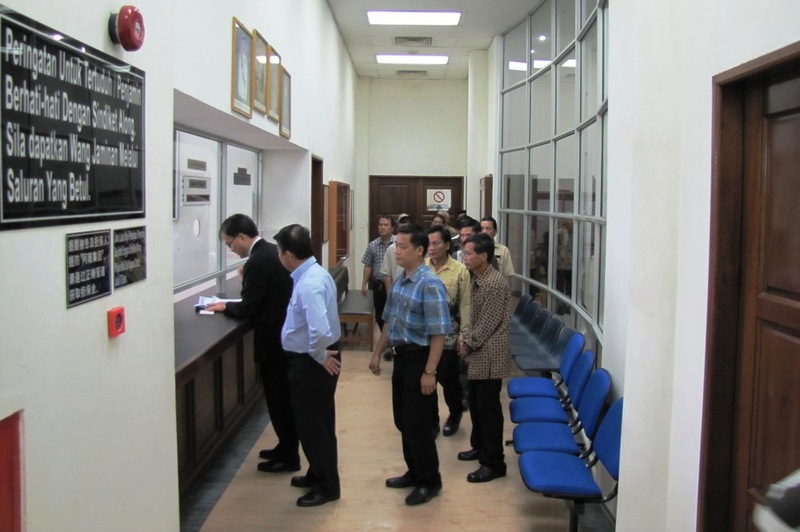 Being given licenses are Samling (logging), Kingwood Hotel owners (logging and tree-plantation), Tiang families of Quality Concrete Holdings (tree-plantation) and one company (logging) which secretary of is Idris Buang, currently a Senator from Sarawak, and former chief political secretary to Taib Mahmud. It may take more time in Malaysia to overthrow an oppressive and corrupted regime that does not care for the majority of its citizens. Taking down this regime that has become a police state is a bit more difficult when the police who are supposed to be the guardians of law and order are used to brutalize any form of opposition to the government of the day. It is difficult when only glorified news about the regime is allowed to be aired or published in the mass media which is wholly at the mercy of the government. The mass media is shackled by the government which uses the printing and publishing act as the threatening tool to make the media print or publish what is favourable to them. The majority of the rakyat especially the Malays in the rural areas do not have access to any other alternate media except the ones like the UMNO controlled newspapers which write everything except the truth and what is happening in the country. The rural Malays and the other races are threatened with a non-existent bogeyman in the form of racial riots and mayhem of the infamous May 13. They are told in uncertain terms the status quo is the best under the circumstances. Revolution of the kind that is happening in the Arab world and the Middle East is not possible in Malaysia because the majority of the rakyat who are Malays have been brainwashed to think that their race and religion is facing grave danger from the other rakyat. This is a sheer and blatant lie but only the knowledgeable and urban Malays know about it. When finally the Malays glean the truth about this corrupted and evil UMNO/BN government to rise and demand their lost rights and freedom, they may face another intolerant demon worse than Ghadaffi. So much is at stake for the UMNOputras and their running dogs that they have already said that they are prepared for blood letting just like what Ghadaffi is doing in Libya. Uprising to topple an evil and corrupted regime in Malaysia is ONLY possible if the Malays together with the other races take to the streets.Street demonstrations by any one minority race will be put down mercilessly by the government. Those demonstrations though exposing the true nature of the government to the outside world will not bring about any tangible shift in the apartheid policies of the government. In short only the Malays can bring about a change in government. The other oppressed races can act as allies for a common good cause. 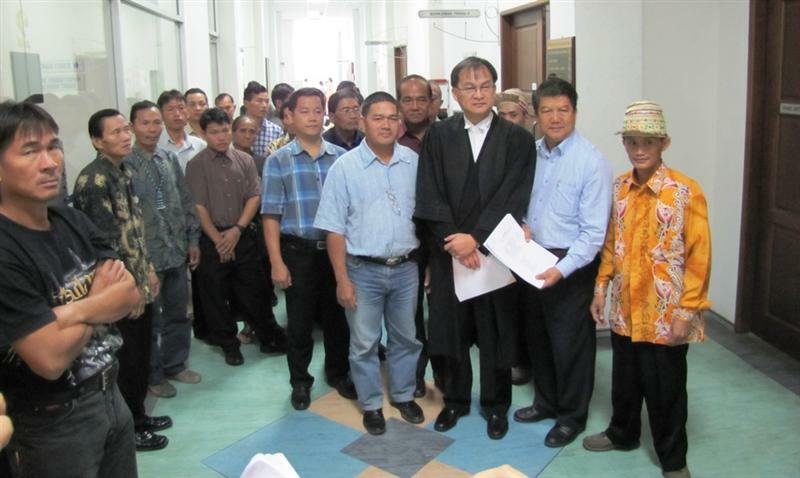 Baru, you have won many NRC court cases for the natives of Sarawak, you are also now the Sarawak PKR Chief, you are now closer to becoming a ADUN Sarawak and more importantly you are the Sarawak Natives HERO. Thank you Baru.Almighty GOD be with you and bless you always. From Lawas to Ba’Kelalan till the Indonesian boarder….the price timber are all gone..wipe clean. 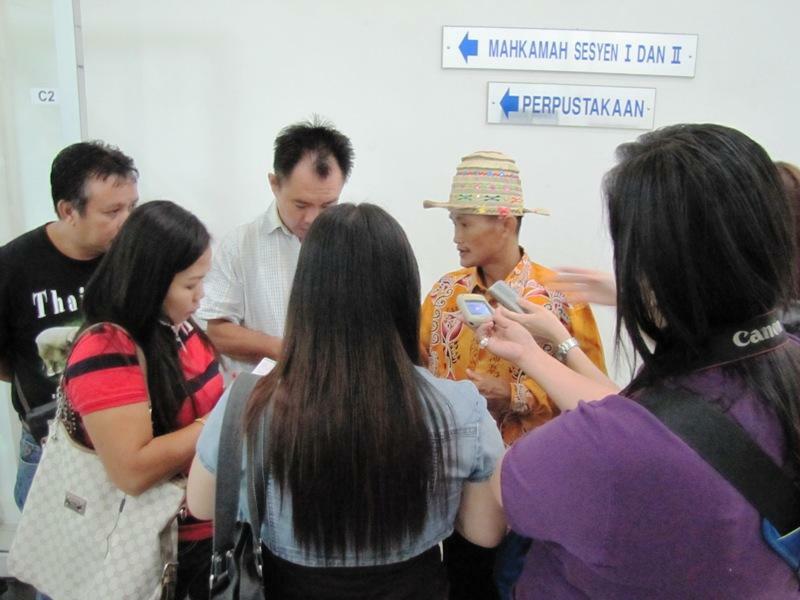 Back then Noor Tahir…and now his son-law; now Awang Tanah they called him! Kuala Lawas…Punang…Merapok….all the mangrove swamp now turned to palm oil plantation. Gone the mangrove swamp mean the breeding area for fish, shrimp…sanctuary for birds, bats, probosis monkey….guess the probosis monkey population In lawas were wipe out now! This should be a lesson learned to the Lun Bawang…..at least the Kelabit did vote for the opposition back in the 80’s… for late Balan Seling..but the Lun Bawang vote for BN all the way till now! 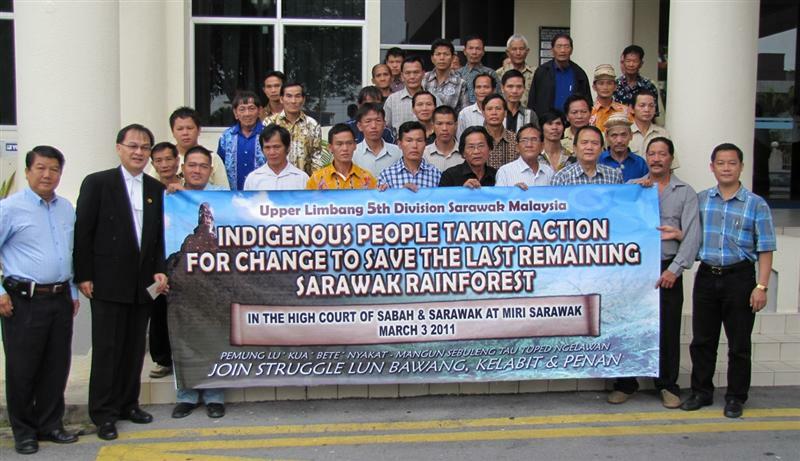 Great, finally Sarawak natives wake up !! Good news . The last 30 years we were scared STIFF of the BN thieves and thugs. Today we have overcome the fear and we are fighting back to take back what rightfully belong to us. Sarawakians unite for change! Vote the BN thieves out! Kenyalang Revolution kicking off by Sarawakian natives ! I Told You So Mr Paramount Thief. 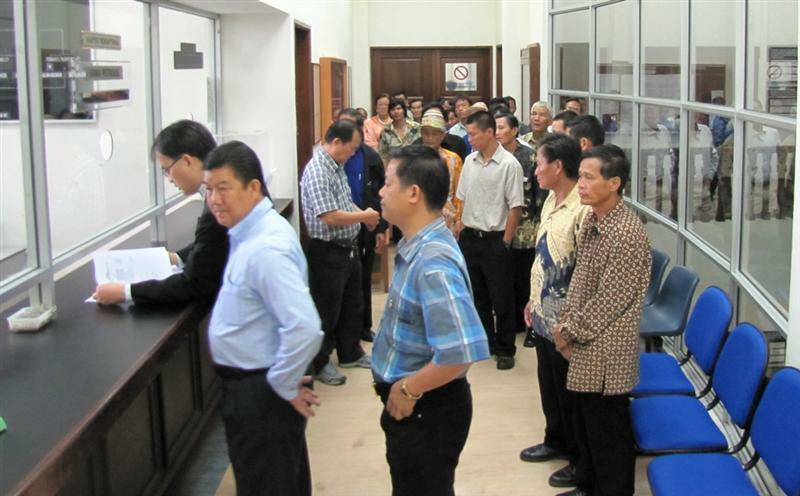 Sarawakians will no longer pay you silly just as much as you like to be called Payhim Silly Taib. This great news! Sarawakians unite! But without offence meant, why has it taken 30 years to get to court?